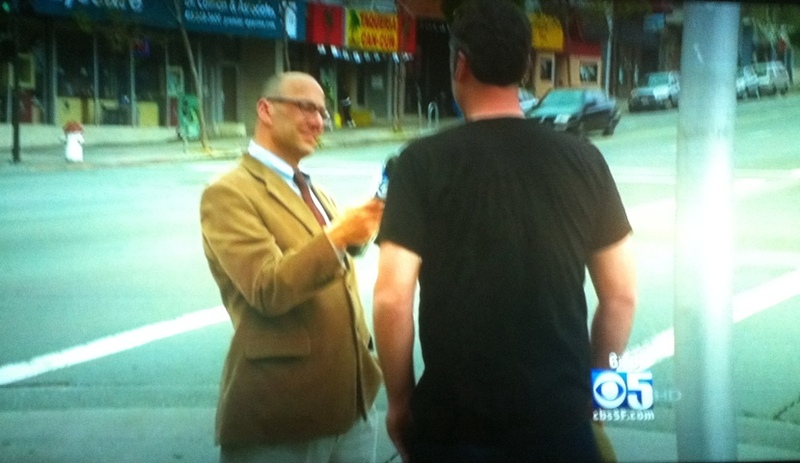 And just this afternoon I spoke with Mike Sugerman at CBS 5. 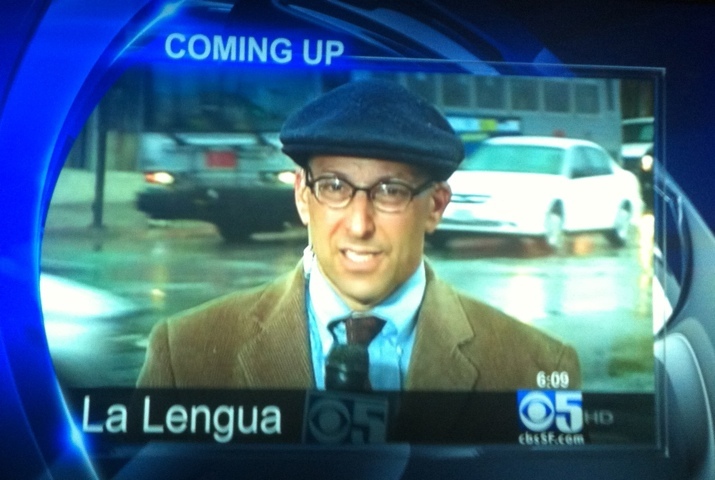 At 6PM you may very well see the back of my head and my legs as I talk (rapidly) about La Lengua at the corner of Mission & Valencia. Coherency and linearity is not guaranteed for this one, am hoping CBS 5 will be kind. Behold, the CBS 5 video itself. Micro-recognition is more like it. more like very very extremely extreme micro-hood recognition. WOW. 2 Legit 2 Quit. Can’t wait to see it! And fantastic Ex article, even with my mask phobia. Finally watched the video. Awesome! Yeah, I rather appreciated the あほ. I was hoping he’d find a neighborhood for ばか but no such luck.